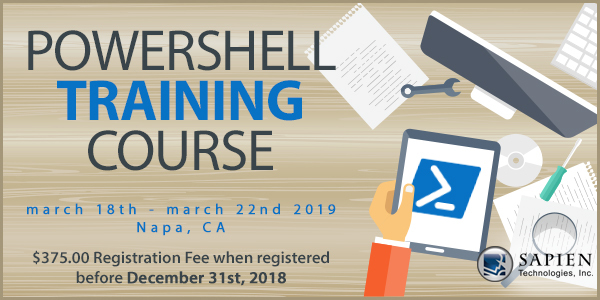 Our 5-day PowerShell Training Course is perfect for YOU! Do you want more information before you purchase a ticket? Check out the link below for everything you need to know! Contact SAPIEN Technologies, Inc. today to register!